To get started eSaathi App, set up blog site with eSaathi dashboard. Install and set up the eSaathi dashboard. If blog are self-hosted, install Jetpack. Le’t have a look on eSaathi App process! the top of the menu. 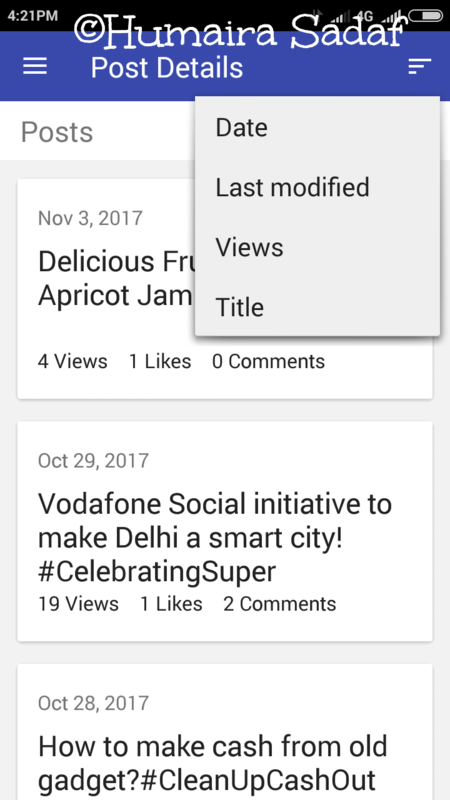 We can quickly switch between views using bottom navigation bar. This shows the summary of visitor activity on blog site. Tapping on the card (square boxes) shows Visitor Activity view. 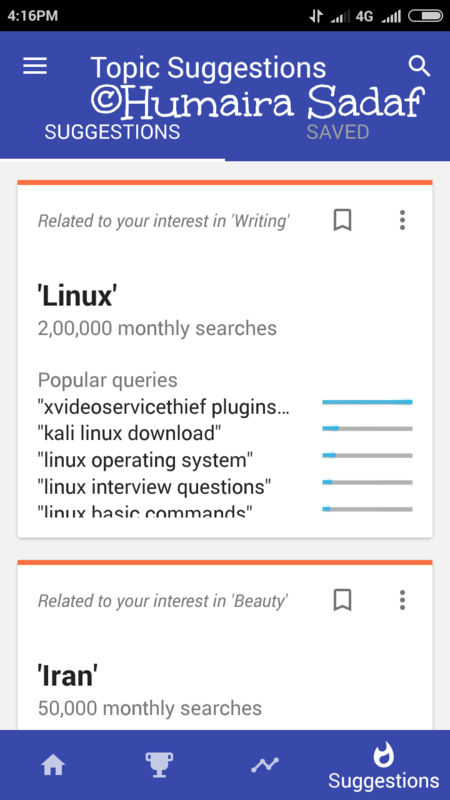 This shows topic suggestions related to blogging are available. Tapping on the card shows Topic Suggestion view. blog are from the next level. Tapping on the card shows Achievement view. This shows the list of badges blog received. IN PROGRESS tab shows progress of each type of badges for the current month. 1- Badges based on number of followers. 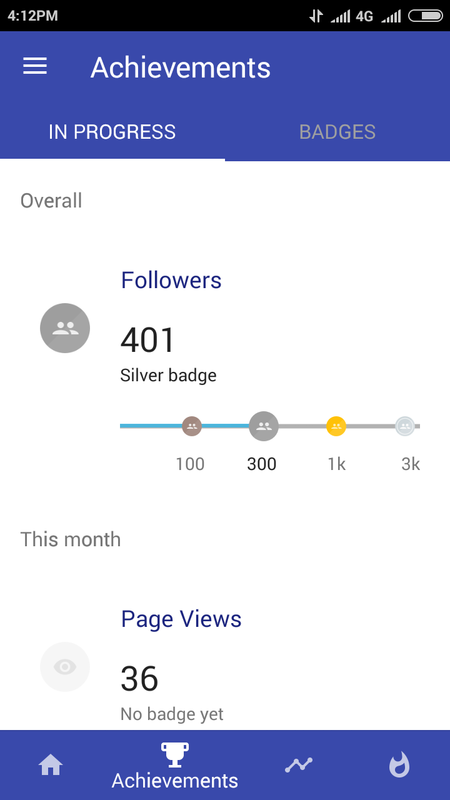 2- Badges based on number of page views, likes, unique visitors and posts this month. 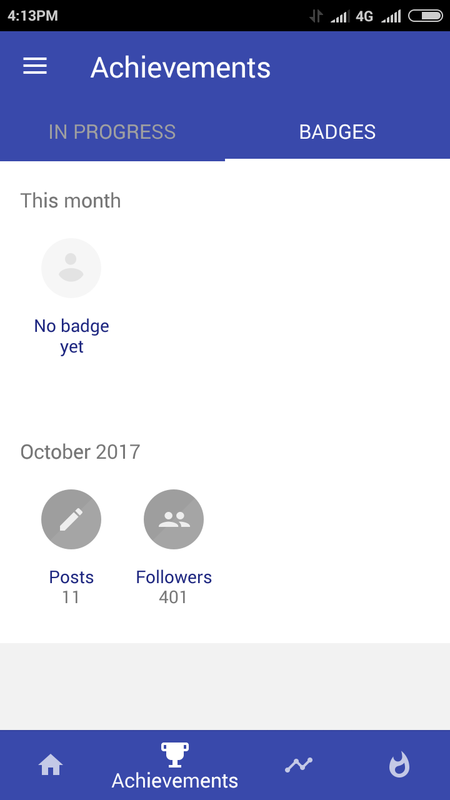 BADGES tab shows all the badges blog received by month. 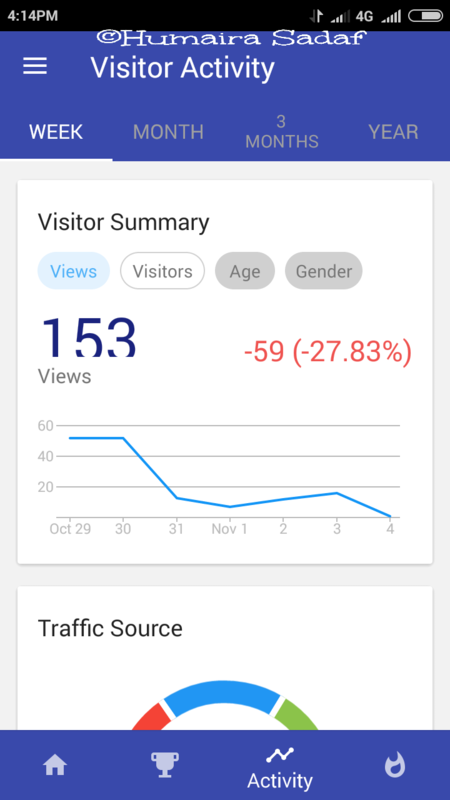 Google Analytics, it can show breakdown of visitors by age or gender. 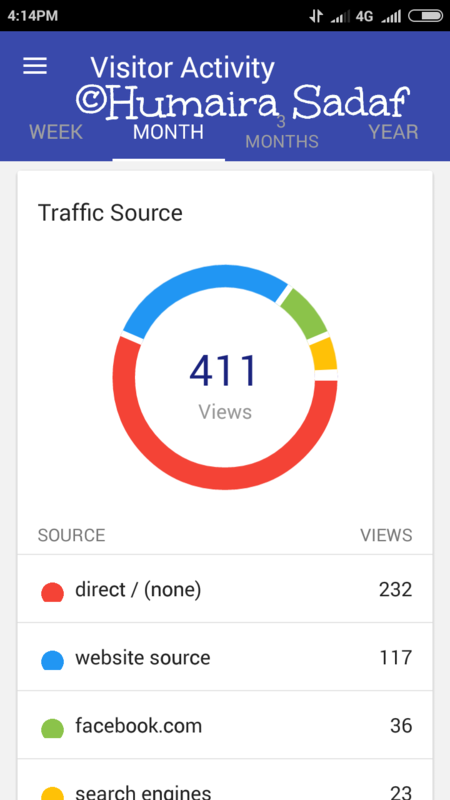 2- Traffic Source card shows the traffic to blog. number of times users saw and visited blog site on/from the search. specified period. For each post, the title, the URL, and the number of views are shown. 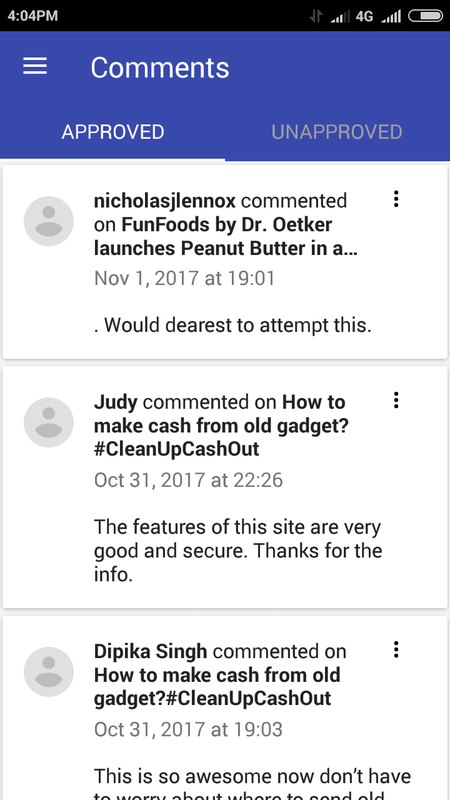 We can tap on the URL to open the post in the browser. in India for the past month. Example- popular queries related to the topic. 2- SAVED tab shows the suggestions have saved. 3- We can search new suggestions or saved suggestions using keyword search. 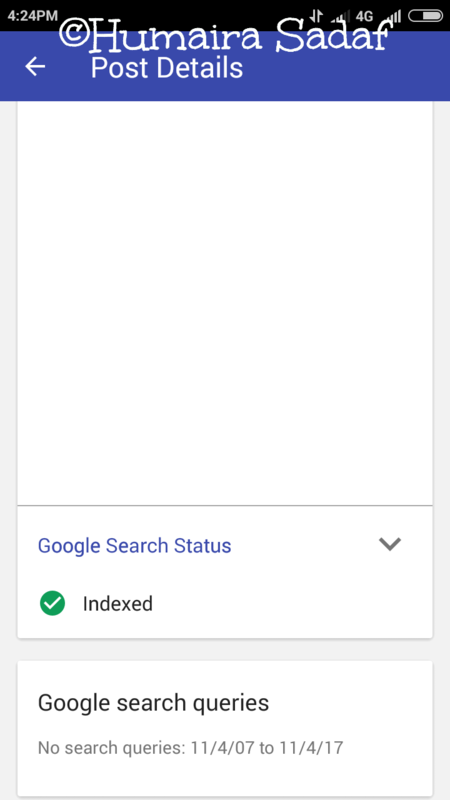 1-Post Details view allows us to see per-post information in detail. Page views, and Title (alphabetically). 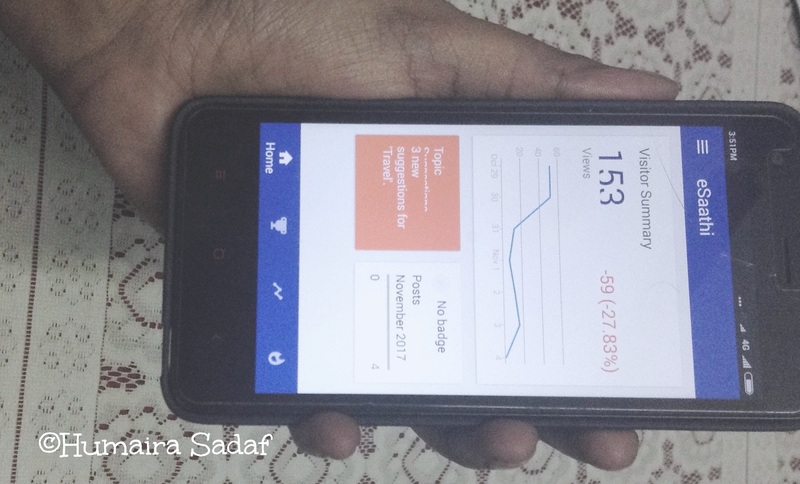 3- By tapping on a card, the app shows detailed information about the post. shows warnings when there’s an issue with the post. 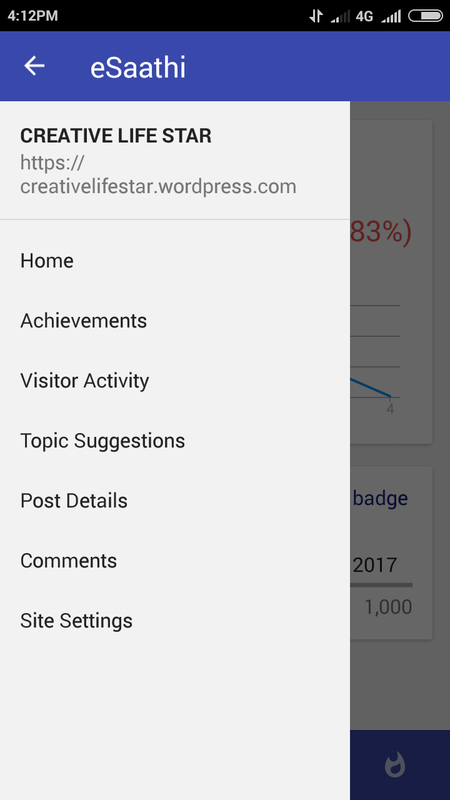 section to change the categories of blog. 2- We can tap on “Site categories” to change the selection of the categories. 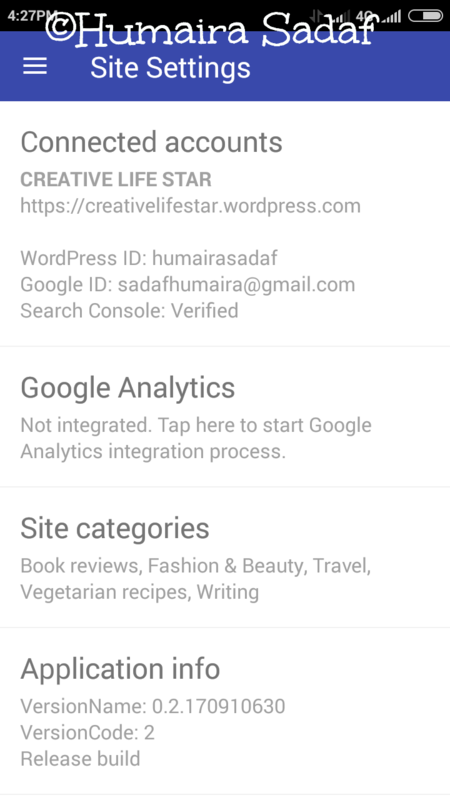 We can modify the set of categories for blog site in this view.